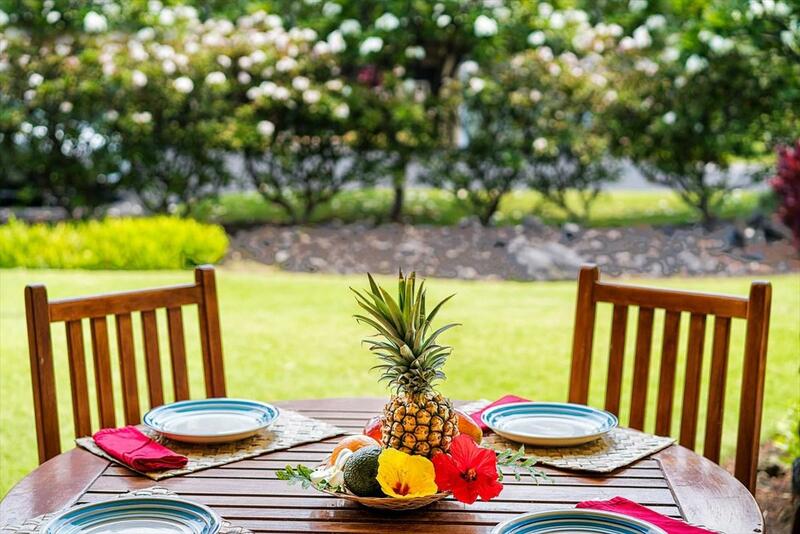 This tastefully furnished and appointed Garden Villa is located within Kolea, one of the premier communities on the Kohala Coast of the Big Island of Hawaii. Kolea is the only beach front development within the Waikoloa Beach Resort. 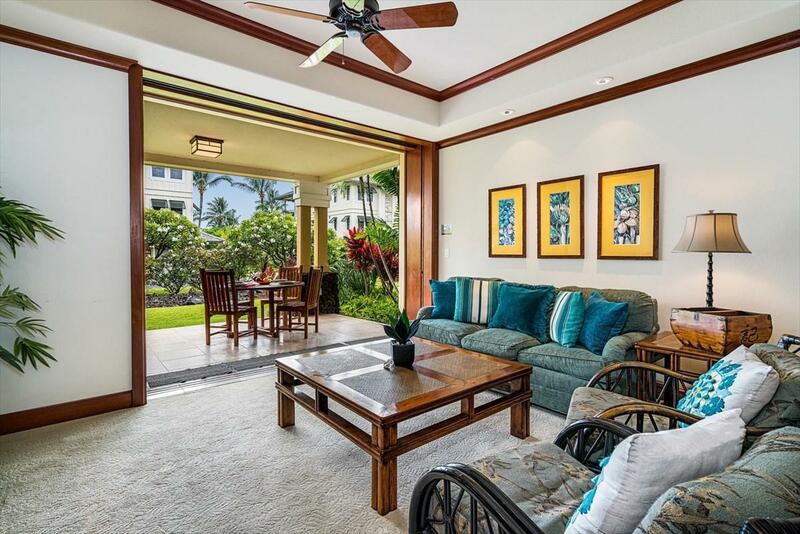 Just a few steps off this Villa's lanai is a sidewalk leading directly to Kolea's Beach Club, which includes an infinity pool, fitness center, and exclusive guest hales for overflow visitors. Walk just past the pool and you are on the sandy beach of Anaeho'omalu Bay. The A-Bay offers many ocean activities, including paddling, snorkeling, and surfing. 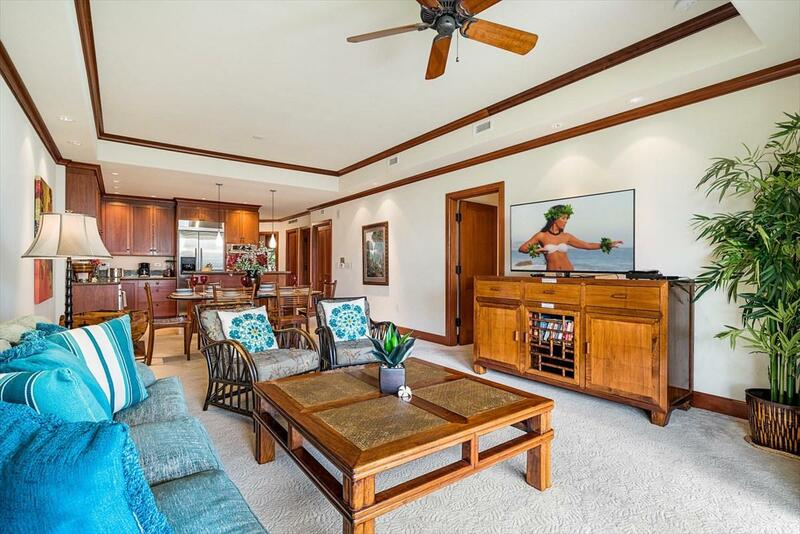 A little further down the Beach is the LavaLava Club, which is a great place to finish off the day watching the sunset while sipping on your favorite beverage with your toes in the sand.11G has been immaculately maintained, and is a successful vacation rental. The Villa features steel frame construction, 9' ceilings, retractable pocket doors, an outdoor kitchen, African Mahogany trim, and upscale appliances. The furnishings and artwork combine to give the Villa a relaxed and pleasant feel. Building 11 offers one of the best locations within Kolea for a two bedroom Villa. 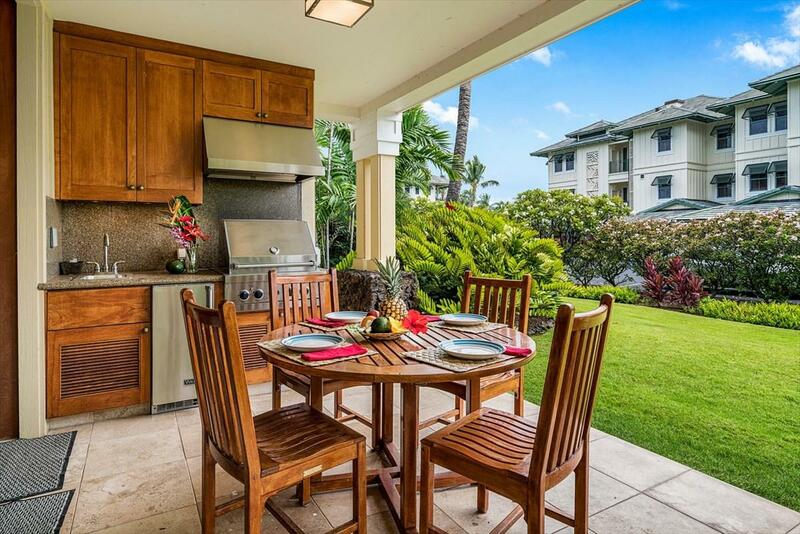 The proximity of the Beach Club to the Building is highly sought after by guests, yet the setting is quiet and private as well.The Waikoloa Beach Resort is one of the most convenient locations to reside on the Kohala Coast. Within walking distance are world class shopping, dining, and golf. A new luxury movie theater is a nice addition to the resort, which is just across the street from the Waikoloa Bowl. The Bowl presents concerts as well as cultural events, and is one of the premier entertainment venues on the Big Island.All you need is your suitcase. Come live your dreams today!